For the seventh consecutive quarter, over 20% of the S&P 500 issues reduced their year-over-year diluted share count by at least 4%, therefore boosting their earnings-per-share (EPS) by at least 4%. 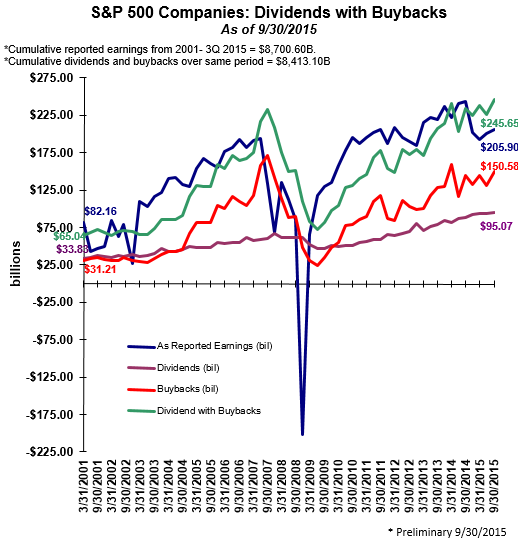 Total shareholder return, dividends plus buybacks, set a 12-month record, at $934.8 billion. “...14.6% of the S&P 500 issues have a current share count level at least 4% lower than their Q4 2014 level, meaning that those issues have already front-loaded at least a 4% tail wind to their Q4 2015 EPS,” according to Howard Silverblatt, Senior index Analyst at S&P Dow Jones Indices. 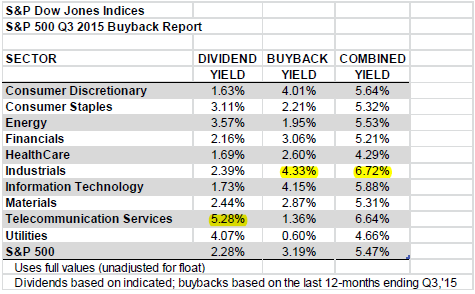 As detailed in the below table, the industrials sector has the highest combined dividend plus buyback yield of all the S&P 500 Index sectors at 6.72%. 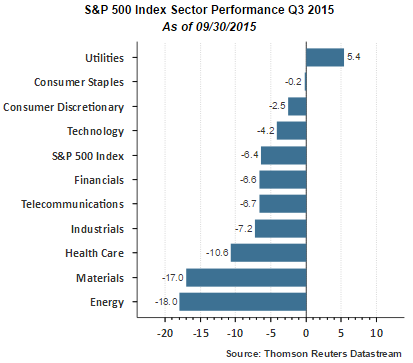 It seems apparent that companies took advantage of the third quarter market weakness in the third quarter to reduce their share count. Historically, this has not always been the case as I noted in an article a few years ago; however, Q3 seems to be the exception. Silverblatt stated that cash reserves declined 1.4% during the third quarter as S&P 500 Industrial (Old) available cash and equivalent decreased to $1.30 trillion, from the second quarter’s $1.32 trillion, and was 2.1% below the record $1.33 trillion set at the end of 2014.